The tiny city on Baja California Sur’s Sea of Cortez coast boasts adventures for anglers and boaters alike. LORETO, Baja California Sur — Big things sometimes come in small packages, they say. We’re not quite sure who qualifies as “they” are, but, perhaps, they were thinking of places such as Loreto when juxtaposing package size and derived experiences. The city of Loreto has fewer than 20,000 residents. There are as many signal lights in town (one) as daily flights from Los Angeles International Airport. It’s not uncommon to find bighorn sheep strolling along the highway just south of town limits (and en route to one of the two major resorts nearby). Good luck finding a McDonald’s or Walmart anywhere in town, as we stated in a 2016 story about Loreto. Loreto, all the while, has much to offer any angler or boater who takes the time to venture into the one-time capital city of the Las Californias province (1768-1777). Local resorts, marina operators and city leaders have been angling to make Loreto a prime destination for sportfishing. Puerto Escondido Marina, about 20 minutes south of town via automobile, has been one of the parties leading the charge of crafting Loreto as the place to originate fishing jaunts. Just beyond the marina’s reach is the Sea of Cortez, home to a broad range of fish species. It’s not uncommon to find amberjack, Dorado, grouper, marlin, roosterfish, sailfish, sea bass, sierra, skipjack, snapper and tuna. Puerto Escondido and Marina Bahia Loreto are the two primary places to launch, either aboard your on boat or on a charter. Those who head out onto the Sea of Cortez should have the most up-to-date charts or a local on-board, in order to know the best places to drop lines and target species. Loreto, like other cities in Baja California, is also home to its set of offshore islands. There are five, specifically, which are major draws for anyone visiting this small Baja California Sur city: Carmen, Coronado, Danzante, Monserrate and Santa Catalan. The Parque Nacional Bahia de Loreto (Loreto Bay National Park) marine reserve is also a destination for those seeking to enjoy the area’s many marine habitats. Snorkeling, diving, organized boat tours, whale watching and just enjoying a good old-fashioned open-air cruise on the Sea of Cortez are also common activities in Loreto. Other attractions in town include: cave paintings in Sierra La Giganta; festivals, exhibitions and traditional dance events throughout the year; and, a handful of local eateries, bars, boutique shops and historical landmarks. A handful of lodging destinations call the Loreto region home. The Log previously reported on Villa Del Parmar, which is about a 45-minute drive south of Loreto. The resort positions itself as a family destination. On-site amenities include a private beach, restaurants, spa and market. Ready to make the trip to Loreto? Puerto Escondido, which has been expanding, offers slips, buoy mooring positions and other accommodations. Boaters also have access to a fuel dock and dry storage. Marina Bahia Loreto, located about 117 nautical miles north of La Paz, 10 nautical miles away from Loreto and a 1,273-nautical-mile journey from San Diego, features 50 slips, dressing rooms and a boat launch ramp. Adjacent to the marina is the cultural and social heart of Loreto – the city’s top hotels, restaurants and visitor-serving businesses are all within a 10-minute walk from the marina. Driving to Loreto is also an option for those who keep their vessels on a trailer. Use Mexico’s Federal Highway 1, which basically connects Tijuana to Los Cabos, to reach Loreto. 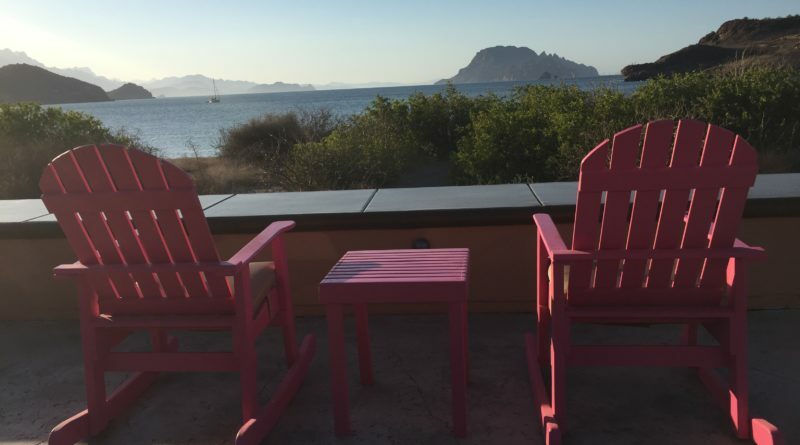 Driving from Los Angeles to Loreto is similar, in distance, as the drive from Los Angeles to Seattle – although much of your travel will be along a curvy and hilly two-lane highway, especially south of Ensenada. Alternatively drivers with boat trailers can head to San Felipe or Puerto Peñasco and then navigate south to Loreto. ← Take a holiday with The Log’s sailing pups — and a cat!